This article is about the group. For the group's eponymous album, see Destiny's Child (album). Destiny's Child was an American girl group whose final and best-known line-up comprised Beyoncé Knowles, Kelly Rowland, and Michelle Williams. Formed in 1997 in Houston, Texas, Destiny's Child members began their musical career as Girl's Tyme, formed in 1990, comprising Knowles, Rowland, LaTavia Roberson, and LeToya Luckett among others. After years of limited success, the quartet were signed in 1997 to Columbia Records and Music World Entertainment as Destiny's Child. Destiny's Child was launched into mainstream recognition following the release of their best-selling second album, The Writing's on the Wall (1999), which contained the number-one singles "Bills, Bills, Bills" and "Say My Name". Despite critical and commercial success, the group was plagued by internal conflict and legal turmoil, as Roberson and Luckett attempted to split from the group's manager Mathew Knowles, citing favoritism of Knowles and Rowland. In early 2000, both Roberson and Luckett were replaced with Williams and Farrah Franklin; however, Franklin quit after five months, leaving the group as a trio. Their third album, Survivor (2001), which contains themes the public interpreted as a channel to the group's experience, contains the worldwide hits "Independent Women", "Survivor" and "Bootylicious". In 2002, they announced a hiatus and re-united two years later for the release of their fourth and final studio album, Destiny Fulfilled (2004). Destiny's Child has sold more than sixty million records worldwide to date. Billboard magazine ranks the group as one of the greatest musical trios of all time, the ninth most successful artist/band of the 2000s, placed the group 68th in its All-Time Hot 100 Artists list in 2008 and in December 2016, the magazine ranked them as the 90th most successful dance club artist of all-time. The group was nominated for 14 Grammy Awards, winning twice for Best R&B Performance by a Duo or Group with Vocals and once for Best R&B Song. In 1990, Beyoncé Knowles met rapper LaTavia Roberson while auditioning for a girl group. Based in Houston, Texas, they were joined to a group that performed rapping and dancing. Kelly Rowland, who relocated to Knowles' house because of family issues, joined them in 1992. Originally named Girl's Tyme, they were eventually cut down to six members including Támar Davis and sisters Nikki and Nina Taylor. With Knowles and Rowland, Girl's Tyme attracted nationwide attention: west-coast R&B producer Arne Frager flew to Houston to see them. He brought them to his studio, The Plant Recording Studios, in Northern California, with focus on Knowles' vocals because Frager thought she had personality and the ability to sing. With efforts to sign Girl's Tyme to a major record deal, Frager's strategy was to debut the group in Star Search, the biggest talent show on national TV at the time. However, they lost the competition because, according to Knowles, their choice of song was wrong; they were actually rapping instead of singing. Because of the group's defeat, Knowles' father, Mathew, voluntarily dedicated his time to manage them. Mathew Knowles decided to cut the original lineup to four, with the removal of Davis and the Taylor sisters and the inclusion of LeToya Luckett in 1993. Aside from spending time at their church in Houston, Girl's Tyme practiced in their backyards and at Headliners Salon, owned by Knowles' mother, Tina. The group would test routines in the salon, when it was on Montrose Boulevard in Houston, and sometimes would collect tips from the customers. Their try out would be critiqued by the people inside. During their school days, Girl's Tyme performed at local gigs. When summer came, Mathew Knowles established a "boot camp" to train them in dance and vocal lessons. After rigorous training, they began performing as opening acts for established R&B groups of that time such as SWV, Dru Hill and Immature. Tina Knowles designed the group's attire for their performances. Over the course of the early years in their career, Girl's Tyme changed their name to Something Fresh, Cliché, the Dolls, and to Destiny. The group signed with Elektra Records with the name Destiny, but were dropped several months later before they could release an album. The pursuit of a record deal affected the Knowles family: in 1995, Mathew Knowles resigned from his job as a medical-equipment salesman, a move that reduced Knowles' family's income by half, and her parents briefly separated due to the pressure. In 1996, they changed their name to Destiny's Child, which was taken from a passage in the Book of Isaiah. Mathew Knowles helped in negotiating a record deal with Columbia Records, which signed the group that same year. Prior to signing with Columbia, the group had recorded several tracks in Oakland, California produced by D'wayne Wiggins of Tony! Toni! Toné!, including "Killing Time", which upon the label's recognition that Destiny's Child had a "unique quality", was included in the soundtrack to the 1997 film Men in Black. 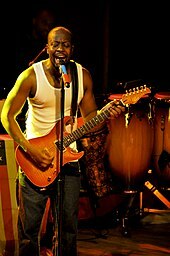 Wyclef Jean remixed the song "No, No, No", which became Destiny's Child's first successful single. Destiny's Child released their self-titled debut album in the United States on February 17, 1998, featuring productions by Tim & Bob, Rob Fusari, Jermaine Dupri, Wyclef Jean, Dwayne Wiggins and Corey Rooney. Destiny's Child peaked at number sixty-seven on the Billboard 200 and number fourteen on the Billboard Top R&B/Hip-Hop Albums. It managed to sell over one million copies in the United States, earning a platinum certification by the Recording Industry Association of America (RIAA). The remix version to the album's lead single, "No, No, No", reached number one on the Billboard Hot R&B/Hip-Hop Singles & Tracks and number three on the Billboard Hot 100. Its follow-up single, "With Me Part 1" failed to reproduce the success of "No, No, No". Meanwhile, the group featured on a song from the soundtrack album of the romantic drama Why Do Fools Fall in Love and "Get on the Bus" had a limited release in Europe and other markets. In 1998, Destiny's Child garnered three Soul Train Lady of Soul awards including Best New Artist for "No, No, No". Knowles considered their debut successful but not huge, claiming as a neo soul record it was too mature for the group at the time. After the success of their debut album, Destiny's Child re-entered the studio quickly, bringing in a new lineup of producers, including Kevin "She'kspere" Briggs and Rodney Jerkins. Coming up with The Writing's on the Wall, they released it on July 27, 1999 and it eventually became their breakthrough album. The Writing's on the Wall peaked at number five on the Billboard 200 and number two on R&B chart in early 2000. "Bills, Bills, Bills" was released in 1999 as the album's lead single and reached the top spot of the Billboard Hot 100, becoming their first US number-one single. The Writing's on the Wall has been credited as Destiny's Child's breakthrough album, spurring their career and introducing them to a wider audience. The main key to the group's breakthrough was the album's third single, "Say My Name", which topped the Billboard Hot 100 for three consecutive weeks. The successful release of the singles bolstered the album's sales, eventually selling over eight million copies in the United States, gaining eight-time platinum certification by the RIAA. The Writing's on the Wall sold more than 11 million copies worldwide and was one of the top-selling albums of 2000. Michelle Williams joined the group as a replacement for Luckett and Roberson. In December 1999, Luckett and Roberson attempted to split with their manager, claiming that he kept a disproportionate share of the group's profits and unfairly favored Knowles and Rowland. While they never intended to leave the group, when the video for "Say My Name" surfaced in February 2000, Roberson and Luckett found out that two new members were joining Knowles and Rowland. Prior to the video premiere, Knowles announced on TRL that original members Luckett and Roberson had left the group. They were replaced by Michelle Williams, a former backup singer to Monica, and Farrah Franklin, an aspiring singer-actress. Shortly after her stint with Monica, Williams was introduced to Destiny's Child by choreographer Braden Larson aka "Peanut Orlando", and was flown to Houston where she stayed with the Knowles family. In March 2000, Roberson and Luckett filed a lawsuit against Mathew Knowles and their former bandmates for breach of partnership and fiduciary duties. Following the suit, both sides were disparaging towards each other in the media. Five months after joining, Franklin left the group. The remaining members claimed that this was due to missed promotional appearances and concerts. According to Williams, Franklin could not handle stress. Franklin, however, disclosed that she left because of the negativity surrounding the strife and her inability to assert any control in the decision making. Her departure was seen as less controversial. Williams, on the other hand, disclosed that her inclusion in the group resulted in her "battling insecurity": "I was comparing myself to the other members, and the pressure was on me." Towards the end of 2000, Roberson and Luckett dropped the portion of their lawsuit aimed at Rowland and Knowles in exchange for a settlement, though they continued the action against their manager. As part of the agreement, both sides were prohibited from speaking about each other publicly. Roberson and Luckett formed another girl group named Anjel but also left it due to issues with the record company. Although band members were affected by the turmoil, Destiny's Child's success continued. The following years of their career were seen as the group's most successful stretch, becoming a pop culture phenomenon. "Say My Name" became their second number-one and biggest single to date. The fourth single from The Writing's on the Wall, "Jumpin', Jumpin'", also became a top-ten hit. During this time, Destiny's Child began performing as an opening act at the concerts of pop singers Britney Spears and Christina Aguilera. With Williams in the new lineup, Destiny's Child released a theme song for the soundtrack to the 2000 film Charlie's Angels. Released as a single in October 2000, "Independent Women Part 1" spent eleven consecutive weeks atop the Billboard Hot 100 from November 2000 to January 2001, the longest-running number-one single of Destiny's Child's career and of that year in the United States. The successful release of the single boosted the sales of the soundtrack album to Charlie's Angels to 1.5 million by 2001. In 2000, Destiny's Child won Soul Train's Sammy Davis Jr. Entertainer of the Year award. At the 2001 Billboard Music Awards, Destiny's Child won several accolades, including Artist of the Year and Duo/Group of the Year, and again won Artist of the Year among five awards they snagged in 2001. In September 2000, the group took home two at the sixth annual Soul Train Lady of Soul Awards, including R&B/Soul Album of the Year, Group for The Writing's on the Wall. Destiny's Child recorded their third album, Survivor, from mid-2000 until early 2001. In the production process, Knowles assumed more control in co-producing and co-writing almost the entire album. Survivor hit record stores in the spring of 2001 and entered the Billboard 200 at number one, selling over 663,000 copies in its first week sales. The first three singles, "Independent Women Part I", "Survivor" and "Bootylicious" reached the top three in the United States and were also successful in other countries; the first two were consecutive number-one singles in the United Kingdom. The album was certified four-time platinum in the United States and double platinum in Australia. It sold 6 million copies as of July 27, 2001. In the wake of the September 11 attacks, Destiny's Child canceled a European tour and performed in a concert benefit for the survivors. In October 2001, the group released a holiday album, 8 Days of Christmas, which contained updated versions of several Christmas songs. The album managed to reach number thirty-four on the Billboard 200. In February 2001, Destiny's Child won two Grammy awards for "Say My Name": Best R&B Vocal Performance by a Duo or Group and Best R&B Song. They also earned an American Music Award for Favorite Soul/R&B Band/Duo. Also in 2001, Destiny's Child sang backup vocals for Solange Knowles, who was the lead, on the theme song to the animated Disney Channel series The Proud Family. In March 2002, a remix compilation titled This Is the Remix was released to win fans over before a new studio album would be released. The remix album reached number 29 in the United States. The lead single "Survivor" was by some interpreted as a response to the strife between the band members, although Knowles claimed it was not directed at anybody. Seeing it as a breach of the agreement that barred each party from public disparagement, Roberson and Luckett once again filed a lawsuit against Destiny's Child and Sony Music, shortly following the release of This Is the Remix. In June 2002, remaining cases were settled in court. Beyoncé Knowles' sister, Solange, who had recorded songs and performed with Destiny's Child, was reported to join the group when they reunite, but this was later confirmed as only a test of the public's reaction. In late 2000, Destiny's Child announced their plan to embark on individual side projects, including releases of solo albums, an idea by their manager. In 2002, Williams released her solo album, Heart to Yours, a contemporary gospel collection. The album reached number one on the Billboard Top Gospel Albums chart. In the same date Heart to Yours hit stores, Destiny's Child released their official autobiography, Soul Survivors. Rowland collaborated with hip hop artist Nelly on "Dilemma", which became a worldwide hit and earned Rowland a Grammy; she became the first member of Destiny's Child to have achieved a US number-one single. In the same year, Knowles co-starred with Mike Myers in the box-office hit Austin Powers in Goldmember. She recorded her first solo single, "Work It Out", for the film's soundtrack. To capitalize on the success of "Dilemma", Rowland's solo debut album Simply Deep was brought forward from its early 2003 release to September 2002. Rowland's career took off internationally when Simply Deep hit number one on the UK Albums Chart. In the same year, she made her feature film debut in the horror film Freddy vs. Jason. Meanwhile, Knowles made her second film, The Fighting Temptations, and appeared as featured vocalist on her then-boyfriend Jay-Z's single "'03 Bonnie & Clyde", which paved the way for the release of her debut solo album. As an upshot from the success of "Dilemma", Knowles' debut album, Dangerously in Love, was postponed many times until June 2003. Knowles was considered the most successful among the three solo releases. Dangerously in Love debuted at number one on the Billboard 200, selling 317,000 copies. It yielded the number-one hits "Crazy in Love", and "Baby Boy"; and the top-five singles "Me, Myself and I" and "Naughty Girl". The album was certified 4x platinum by the Recording Industry Association of America (RIAA). It remains as Knowles' best-selling album to date, with sales of 5 million copies in the United States, as of June 2016. Worldwide, the album has sold more than eleven million copies. Knowles' solo debut was well received by critics, earning five Grammy awards in one night for Dangerously in Love, tying the likes of Norah Jones, Lauryn Hill, and Alicia Keys for most Grammys received in one night by a female artist. In November 2003, Williams appeared as Aida on Broadway. In January 2004, she released her second gospel album, Do You Know. D'wayne Wiggins, who had produced their first recordings as Destiny's Child, filed suit in 2002 against his former counsel (Bloom, Hergott, Diemer & Cook LLP) seeking $15 million in damages for lessening his contractual agreement with the group without his consent, effectively nullifying his original contract that offered Sony Music/Columbia Destiny's Child's exclusive recording services for an initial seven years, in exchange for "certain royalties", instead of royalties only from the first three albums. The case was settled for an undisclosed amount. In June 2003, Mathew Knowles announced that Destiny's Child would expand back to a quartet, revealing Knowles' younger sister, Solange, as the latest addition to the group. Destiny's Child had previously recorded songs with Solange and shared the stage when she temporarily replaced Rowland after she broke her toes while performing. Their manager, however, said the idea was used to test reactions from the public. In August 2003, Knowles herself confirmed that her sister would not be joining in the group, and instead promoted Solange's debut album, Solo Star, released in January 2003. Three years after the hiatus, members of Destiny's Child reunited to record their fourth and final studio album, Destiny Fulfilled. The album introduces the trio to a harder, "urban" sound, and songs featured are conceptually interrelated. Destiny Fulfilled saw equality in the trio: each member contributed to writing on the majority songs, as well as becoming executive producers aside from their manager. Released on November 15, 2004, Destiny Fulfilled failed to top Survivor; the album reached number two the following week, selling 497,000 copies in its first week, compared to 663,000 for the previous album. Certified three-time platinum in the United States, it was still one of the best-selling albums of 2005, selling over eight million copies worldwide; it pushed the group back into the position of the best-selling female group and American group of the year. Four singles were released from the album: the lead "Lose My Breath", "Soldier", "Cater 2 U" and "Girl"; the first two reached number three in the United States. "Soldier" "Cater 2 U" were certified platinum by the RIAA in 2006. The final line-up of Destiny's Child performing during their 2005 Destiny Fulfilled... and Lovin' It concert tour. We have been working together as Destiny's Child since we were 9, and touring together since we were 14. After a lot of discussion and some deep soul searching, we realized that our current tour has given us the opportunity to leave Destiny's Child on a high note, united in our friendship and filled with an overwhelming gratitude for our music, our fans, and each other. After all these wonderful years working together, we realized that now is the time to pursue our personal goals and solo efforts in earnest...No matter what happens, we will always love each other as friends and sisters and will always support each other as artists. We want to thank all of our fans for their incredible love and support and hope to see you all again as we continue fulfilling our destinies. Destiny's Child released their greatest hits album, #1's, on October 25, 2005. The compilation includes their number-one hits including "Independent Woman Part 1", "Say My Name" and "Bootylicious". Three new tracks were recorded for the compilation including "Stand Up for Love", which was recorded for the theme song to the World Children's Day, and "Check on It", a song Knowles recorded for The Pink Panther's soundtrack. Record producer David Foster, his daughter Amy Foster-Gillies and Knowles wrote "Stand Up for Love" as the anthem to the World Children's Day, an annual worldwide event to raise awareness and funds for children causes. Over the past three years, more than $50 million have been raised to benefit Ronald McDonald House Charities and other children's organizations. Destiny's Child lent their voices and support as global ambassadors for the 2005 program. #1's was also released as a DualDisc, featuring the same track listing, seven videos of selected songs and a trailer of the concert DVD Destiny's Child: Live in Atlanta. The DVD was filmed during the Atlanta visit of the Destiny Fulfilled ... And Lovin' It tour, and was released on March 28, 2006. It has been certified platinum by the RIAA, denoting shipments of over one million units. The title of the compilation fueled a ripple as it contained number-one singles, although not exclusively. While the liner notes of the compilation does not present any information regarding commercial performances of the songs featured, writer Keith Caulfield of Billboard magazine suggested that the name could only be "a marketing angle". Despite this, journalist Chris Harris of MTV said that it "lives up to its name". Destiny's Child reunited for a farewell performance at the 2006 NBA All-Star Game on February 19, 2006 in Houston, Texas; however, Knowles commented, "It's the last album, but it's not the last show." Their final televised performance was at the Fashion Rocks benefit concert in New York a few days later. On March 28, 2006, Destiny's Child was inducted into the Hollywood Walk of Fame, the 2,035th recipient of the coveted recognition. At the 2006 BET Awards, Destiny's Child won Best Group, a category they also earned in 2005 and 2001. After their formal disbandment, all members resumed their solo careers and have each experienced different levels of success. Since then, Knowles, Rowland and Williams have continued to collaborate on each other's solo projects through song features, music video appearances, and live performances. Both Rowland and Williams, along with Knowles' sister Solange, appeared in Knowles' music video for her single "Get Me Bodied" (2007). On June 26, 2007, the group made a mini-reunion at the 2007 BET Awards, where Knowles performed "Get Me Bodied" with Williams and Solange as her back-up dancers. After her performance, Knowles introduced Rowland who performed her single "Like This" (2007) with Eve. On the September 2, 2007 Los Angeles stop of The Beyoncé Experience tour, Knowles sang a snippet of "Survivor" with Rowland and Williams, and the latter two rendered a "Happy Birthday" song to Knowles. The performance was featured in Knowles' tour DVD, The Beyoncé Experience Live. In 2008, Knowles recorded a cover of Billy Joel's "Honesty" for Destiny's Child's compilation album Mathew Knowles & Music World Present Vol.1: Love Destiny, which was released only in Japan to celebrate the group's tenth anniversary. Rowland made a cameo appearance in Knowles' music video for her single "Party" (2011), and the group's third compilation album, Playlist: The Very Best of Destiny's Child, was released in 2012 to mark the fifteenth anniversary since their formation. The fourth compilation album, Love Songs, was released on January 29, 2013, and included the newly recorded song "Nuclear", produced by Pharrell Williams. "Nuclear" marked the first original music from Destiny's Child in eight years. The following month, Rowland and Williams appeared as special guests for Knowles' Super Bowl XLVII halftime show, where they performed "Bootylicious", "Independent Women" and Knowles' own song "Single Ladies (Put a Ring on It)". A video album titled Destiny's Child Video Anthology was released in May 2013 and featured sixteen of the group's music videos. Knowles and Williams were then featured on Rowland's song "You Changed" from her fourth solo album Talk a Good Game (2013). Later that year, Rowland and Williams made cameo appearances in the music videos for Knowles' songs "Superpower" and "Grown Woman", which were both included on her self-titled fifth solo visual album. Williams released the single "Say Yes" in June 2014, featuring Knowles and Rowland. They performed "Say Yes" together during the 2015 Stellar Awards, and the live version of the song was mastered for iTunes in April 2015. On November 7, 2016, the group reunited in a video to try the Mannequin Challenge, which was posted on Rowland's official Instagram account. The group reunited for Beyoncé's headline performance at Coachella in April 2018. Destiny's Child recorded R&B songs with styles that encompasses urban, contemporary, and dance-pop. In the group's original line-up, Knowles was the lead vocalist, Rowland was the second lead vocalist, Luckett was on soprano, and Roberson was on alto. Knowles remained as the lead vocalist in the group's final line-up as a trio, however, Rowland and Williams also took turns in singing lead for the majority of their songs. Destiny's Child cited R&B singer Janet Jackson as one of their influences. Ann Powers of The New York Times described Destiny's Child music as "fresh and emotional ... these ladies have the best mixes, the savviest samples and especially the most happening beats." In the same publication, Jon Pareles noted that the sound that defines Destiny's Child, aside from Knowles' voice, "is the way its melodies jump in and out of double-time. Above brittle, syncopated rhythm tracks, quickly articulated verses alternate with smoother choruses." The group usually harmonize their vocals in their songs, especially on the ballads. In most instances of their songs, each member sings one verse and chimes in at the chorus. In their third album Survivor (2001), each member sings lead in the majority of the songs. Knowles said, "... everybody is a part of the music ... Everybody is singing lead on every song, and it's so great—because now Destiny's Child is at the point vocally and mentally that it should be at." Knowles, however, completely led songs like "Brown Eyes" and "Dangerously in Love". The group explored their lyrics to man-to-woman relationship, sisterhood and female empowerment anthems. Survivor contains themes interpreted by the public as a reference to the group's internal conflict. The title track, "Survivor", which set the theme used throughout the album, features the lyrics "I'm not gonna blast you on the radio ... I'm not gonna lie on you or your family ... I'm not gonna hate you in the magazine" caused Roberson and Luckett to file a lawsuit against the group; the lyrics were perceived to be a violation over their agreement following a settlement in court. In an interview, Knowles commented: "The lyrics to the single 'Survivor' are Destiny's Child's story, because we've been through a lot, ... We went through our drama with the members ... Any complications we've had in our 10-year period of time have made us closer and tighter and better." In another song called "Fancy", which contains the lyrics "You always tried to compete with me, girl ... find your own identity", was interpreted by critic David Browne, in his review of the album for Entertainment Weekly magazine, as a response to the lawsuit. Stephen Thomas Erlewine of AllMusic summarized Survivor as "a determined, bullheaded record, intent on proving Destiny's Child has artistic merit largely because the group survived internal strife. ... It's a record that tries to be a bold statement of purpose, but winds up feeling forced and artificial." Despite the album's receiving critical praise, Knowles' close involvement has occasionally generated criticism. Knowles wrote and co-produced the bulk of Survivor. Browne suggested that her help made Survivor a "premature, but inevitable, growing pains album". In the majority of the songs on their final studio album Destiny Fulfilled (2004), the verses are divided into three sections, with Knowles singing first, followed by Rowland, then Williams; the three harmonize together during the choruses. 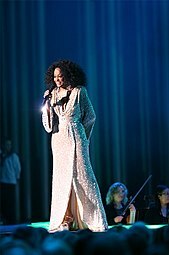 Diana Ross (pictured), lead singer of The Supremes, whom Beyoncé Knowles was compared to. Destiny's Child were compared to The Supremes, a 1960s American female singing group, with Knowles being compared to Supremes frontwoman Diana Ross; Knowles, however, has dismissed the notion. Coincidentally, Knowles starred in the film adaptation of the 1981 Broadway musical Dreamgirls as Deena Jones, the front woman of the Dreams, a female singing group based on the Supremes. With Knowles' wide role assumed in the production of Survivor, Gil Kaufman of MTV noted that "it became clear that Beyoncé was emerging as DC's unequivocal musical leader and public face". Her dominance to the creative input in the album made the album "very much her work". For Lola Ogunnaike of The New York Times, "It's been a long-held belief in the music industry that Destiny's Child was little more than a launching pad for Beyoncé Knowles' inevitable solo career." In the wake of Knowles' debut solo album Dangerously in Love (2003), rumors spread about a possible split of Destiny's Child after each member had experienced solo success and had ongoing projects. Comparisons were drawn to Justin Timberlake, who did not return to band NSYNC after his breakthrough debut solo album, Justified. Rowland responded to such rumors, announcing they were back in the studio together. The group claimed that the reunion was destined to happen and that their affinity to each other kept them cohesive. Margeaux Watson, arts editor at Suede magazine, suggested that Knowles "does not want to appear disloyal to her former partners," and called her decision to return to the group "a charitable one". Knowles' mother, Tina, wrote a 2002-published book, titled Destiny's Style: Bootylicious Fashion, Beauty and Lifestyle Secrets From Destiny's Child, an account of how fashion influenced Destiny's Child's success. Destiny's Child's star on the Hollywood Walk of Fame. Destiny's Child have been referred to as R&B icons, and have sold more than 60 million records worldwide. Following the disbandment of Destiny's Child, MTV's James Montgomery noted that "they have left a fairly sizable legacy behind" as "one of the best-selling female pop vocal groups in history." Billboard observed that Destiny's Child were "defined by a combination of feisty female empowerment anthems, killer dance moves and an enviable fashion sense," while Essence noted that they "set trends with their harmonious music and cutting-edge style." In 2015, Daisy Jones of Dazed Digital published an article on how the group made a significant impact in R&B music, writing "Without a hint of rose tint, Destiny's Child legitimately transformed the sound of R&B forever... their distinct influence can be found peppered all over today's pop landscape, from Tinashe to Ariana Grande." Nicole Marrow of The Cut magazine believed that R&B music in the 1990s and early 2000s "was virtually redefined by the success of powerhouse performers like TLC and Destiny's Child, who preached a powerful litany of embracing womanhood and celebrating individuality." Hugh McIntyre of Forbes wrote that before The Pussycat Dolls and Danity Kane burst onto the music scene in the mid-2000s, Destiny's Child were "the reigning queens" of the girl group genre. There is no better microcosm of what happened to Top 40 music between 1993 and 1999 than this. Bands like the “Star Search” winner were buried in a landfill of post-grunge, while R&B groups built out from soul and quiet storm to create a sound innovative enough to earn the “futuristic” label almost everything got in that pre-Y2K time. This bore itself out in the revival in the early-to-mid-’90s of excellent girl groups vaguely in the Supremes mold—TLC, En Vogue, SWV—but it would be Destiny’s Child who would become their true successors. Destiny's Child's final line-up as a trio has been widely noted as the group's most recognizable and successful line-up. Billboard recognized them as one of the greatest musical trios of all time; they were also ranked as the third most successful girl group of all time on the Billboard charts, behind TLC and The Supremes. The group's single "Independent Women" (2000) ranked second on Billboard's list of the "Top 40 Biggest Girl Group Songs of All Time on the Billboard Hot 100 Chart". "Independent Women" was also acknowledged by the Guinness World Records as the longest-running number-one song on the Hot 100 by a girl group. The term "Bootylicious" (a combination of the words booty and delicious) became popularized by Destiny's Child's single of the same and was later added to the Oxford English Dictionary in 2006. The term was also used to describe Beyoncé during the 2000s decade due to her curvacious figure. VH1 included "Bootylicious" on their "100 Greatest Songs of the '00s" list in 2011, and Destiny's Child on their "100 Greatest Women in Music" list the following year. Additionally, "Independent Women" was ranked as one of NME's "100 Best Songs of the 00s". Destiny's Child was honored at the 2005 World Music Awards with the World's Best Selling Female Group of All Time Award, which included a 17-minute tribute performance by Patti LaBelle, Usher, Babyface, Rihanna, Amerie and Teairra Mari. In 2006, the group was awarded a star on the Hollywood Walk of Fame. Destiny's Child has been credited as a musical influence or inspiration by several artists including Rihanna, Meghan Trainor, Fifth Harmony, Little Mix, Girls Aloud, Haim, Jess Glynne, Katy B, and RichGirl. Ciara was inspired to pursue a career in music after seeing Destiny's Child perform on television. Ariana Grande cited Destiny's Child as one of her vocal inspirations, saying that listening to the group's music is how she discovered her range and "learned about harmonies and runs and ad-libs." Meghan Trainor stated that her single "No" (2016) was inspired by the late 1990s and early 2000s sounds of Destiny's Child, NSYNC, and Britney Spears. Fifth Harmony cited Destiny's Child as their biggest inspiration, and even paid tribute to the group by performing a medley of "Say My Name", "Independent Women", "Bootylicious" and "Survivor" on the television show Greatest Hits. Fifth Harmony also incorporated elements of the intro from "Bootylicious" for the intro to their own song "Brave, Honest, Beautiful" (2015). The Grammy Awards are awarded annually by the National Academy of Recording Arts and Sciences. Destiny's Child has won three awards from fourteen nominations. ^ "Destiny's Child's Long Road To Fame (The Song Isn't Called 'Survivor' For Nothing)". MTV. June 13, 2005. Retrieved June 4, 2014. ^ a b c "Billboard Greatest Trios of All Time". Billboard. Archived from the original on April 30, 2008. Retrieved May 13, 2008. ^ "Best of the 2000s. Artists of the Decade". Billboard. Prometheus Global Media. p. 1. Retrieved July 7, 2012. ^ "The Billboard Hot 100 All-Time Top Artists". Billboard. Nielsen Business Media, Inc. Archived from the original on September 13, 2008. Retrieved November 17, 2008. ^ a b c d e f g h i j k l m n o p q r s t u v w x y z aa ab ac ad ae af Kaufman, Gil (June 13, 2005). "Destiny's Child's Long Road To Fame (The Song Isn't Called 'Survivor' For Nothing)". MTV News. Retrieved April 13, 2008. ^ a b c d e f "Beyoncé Knowles: Biography". People. Retrieved April 13, 2008. ^ Farley, Christopher John (January 15, 2001). "Call of the Child". Time. Retrieved April 12, 2008. ^ a b c "Driven: Beyonce Knowles". VH1. MTV Networks. Retrieved May 22, 2008. ^ a b c d e f g h i j k l Dunn, Jancee (June 10, 2001). "Date with destiny". The Observer. London. Retrieved February 27, 2009. ^ a b c d Gillings, Andrew (April 22, 2001). "Destiny's Child: Soul-Survivors". Essence. Archived from the original on October 15, 2008. Retrieved February 25, 2009. ^ Stacy-Deanne; Kenyatta, Kelly; Lowery, Natasha (2005). Alicia Keys, Ashanti, Beyoncé, Destiny's Child, Jennifer Lopez & Mya: Divas of the New Millennium. Amber Books Publishing. ISBN 0-9749779-6-9. Retrieved February 1, 2008. ^ a b c d e "Artist Chart History – Destiny's Child". Billboard. Nielsen Business Media, Inc. Retrieved February 24, 2009. ^ a b c d e f "Gold and Platinum". Recording Industry Association of America. Archived from the original on December 19, 2015. Retrieved February 24, 2009. ^ a b c d e Anthony, James (August 18, 2006). "'Of course you can lose yourself'". The Guardian. London. Retrieved May 13, 2008. ^ a b Flynn, Paul (August 18, 2006). "'Of course you can lose yourself'". The Guardian. London. Retrieved February 26, 2009. ^ a b Powers, Ann (April 29, 2001). "Destiny's Child: In Tune With the New Feminism". The New York Times. Retrieved January 7, 2014. ^ "About Destiny's Child – MTV". MTV. Retrieved March 22, 2014. ^ "Chart Beat Bonus: Endless Love". Billboard. Nielsen Business Media, Inc. February 18, 2005. Archived from the original on May 25, 2013. Retrieved February 24, 2009. ^ VanHorn, Teri (December 6, 2000). "Sisqo Wins Big at Billboard Awards". MTV. Retrieved February 26, 2009. ^ Vineyard, Jennifer (December 5, 2001). "Destiny's Child, R. Kelly Win Big, Britney Gets Soaked at Billboard Awards". MTV. Retrieved February 26, 2009. ^ Schafer, Gabrielle (September 5, 2000). "Mary J. Blige, Angie Stone, Destiny's Child Win Big at Soul Awards". Rolling Stone. Archived from the original on August 18, 2006. Retrieved February 26, 2009. ^ a b VanHorn, Teri (December 8, 2008). "Destiny's Child Solo CDs Won't Compete With Group, Each Other". MTV News. Retrieved May 13, 2008. ^ "Destiny's Child: Survivors". MTV. Retrieved February 26, 2009. ^ Cohen, Jonathan (May 9, 2001). "Destiny's Child Shoot Straight To No. 1". Billboard. Nielsen Business Media, Inc. Retrieved May 22, 2008. ^ Sexton, Paul (April 23, 2001). "Destiny's Child 'Survive' On UK Singles Chart". Billboard. Nielsen Business Media, Inc. Retrieved May 22, 2008. ^ "ARIA Charts – Accreditations – 2001 Albums". Australian Recording Industry Association. Archived from the original on January 17, 2010. Retrieved May 22, 2008. ^ "Destiny's Child Timeline – Survivor". Sony Music. Retrieved March 22, 2014. ^ VanHorn, Teri (September 24, 2008). "Destiny's Child Put 'Stank' Into Christmas on Holiday Album". MTV News. Retrieved May 13, 2008. ^ Reese, Lori (February 22, 2001). "Steel Yourself". Entertainment Weekly. Retrieved May 22, 2008. ^ Cohen, Jonathan (February 5, 2002). "Destiny's Child Groove On 'Remix'". Billboard. Nielsen Business Media, Inc. Retrieved May 22, 2008. ^ a b "Kelly Rowland pursues her own destiny". Cable News Network. January 23, 2003. Retrieved May 22, 2008. ^ Corey, Moss (March 15, 2002). "Destiny's Child Solo Gospel Album Features 9/11 Tribute". MTV. Retrieved February 26, 2009. ^ a b Moss, Corey (July 22, 2002). "Nelly Hit Forces Change in Plans For Destiny's Child LPs". MTV News. Retrieved May 8, 2008. ^ "Tatu top singles chart again". British Broadcasting Corporation. February 9, 2003. Retrieved May 22, 2008. ^ Louie, Rebecca (August 6, 2007). "Crazy in love with Beyonce". New York Daily News. Retrieved May 22, 2008. ^ Susman, Gary (June 2, 2003). "'Anger' Management". Entertainment Weekly. Retrieved May 22, 2008. ^ "R&B stars Destiny's Child split". BBC. June 13, 2005. Retrieved October 4, 2008. ^ Todd, Martens (July 2, 2003). "Beyonce, Branch Albums Storm The Chart". Billboard. Nielsen Business Media, Inc. Retrieved May 22, 2008. ^ "Gold & Platinum Searchable Database – June 04, 2014". RIAA. Archived from the original on June 26, 2007. Retrieved June 4, 2014. ^ Caulfield, Keith (December 30, 2015). "Beyoncé's 'Dangerously in Love' Album Surpasses 5 Million Sold in U.S." Billboard. Retrieved December 30, 2015. ^ Cauldfield, Keith (June 8, 2016). "Beyonce Scores Her Sixth Million-Selling Album in U.S. With 'Lemonade'". Billboard. Retrieved June 12, 2016. ^ a b "Destiny's Child Biography and Sales". ^ "Beyoncé & Fans to Celebrate Superstar's 25th Birthday With Eagerly Awaited New Solo Album, 'B'Day,' Coming in September". Prnewswire.co.uk. Retrieved October 24, 2010. ^ Silverman, Stephen (February 8, 2004). "Much Grammy 'Love' for Beyoncé, OutKast". People. Retrieved May 22, 2008. ^ "Yahoo Music – Exclusive New Music and Music Videos". New.music.yahoo.com. Retrieved June 4, 2014. ^ Susman, Gary (June 27, 2003). "Codependent Women". Entertainment Weekly. Retrieved February 26, 2009. ^ Moss, Corey (June 26, 2003). "Destiny's Child May Get A New Member Next Year". MTV. Retrieved February 26, 2009. ^ Corey, Moss (August 25, 2003). "Destiny's Child To Remain A Trio, Says Beyoncé". MTV. Retrieved February 26, 2009. ^ a b Moss, Corey. "Destiny's Child: Reunited And It Feels So Good (Part 1)". MTV News. Retrieved May 13, 2008. ^ Moss, Corey. "Destiny's Child: Reunited And It Feels So Good (Part 2)". MTV News. Retrieved May 13, 2008. ^ Destinys Fulfilled (Media notes). Sony Music BMG Entertainment. 2004. ^ Whitmire, Margo (November 24, 2004). "Eminem Thankful To Remain No. 1". Billboard. Nielsen Business Media, Inc. Retrieved May 13, 2008. ^ a b c Kaufman, Gil (June 12, 2005). "Destiny's Child Announce Split". MTV News. Retrieved May 13, 2008. ^ a b Vineyard, Jennifer (June 23, 2005). "Destiny's Child Talk Split: 'It's Not The End'". MTV News. Retrieved May 13, 2008. ^ a b Moss, Corey (September 21, 2005). "Destiny's Child Look Back With #1's Before Going Their Separate Ways". MTV News. Retrieved May 13, 2008. ^ "Destiny's Child Releases New Anthem for World Children's Day at McD's". McDonald's. September 27, 2005. Archived from the original on February 15, 2009. Retrieved February 13, 2008. ^ Caulfield, Keith (November 1, 2005). "Ask Billboard". Billboard. Nielsen Business Media, Inc. Retrieved May 13, 2008. ^ Harris, Chris (November 2, 2005). "Destiny's Child's #1's Hits – You Guessed It – #1". MTV News. Retrieved May 13, 2008. ^ a b Ford, Tracey (January 31, 2006). "Destiny's Child Reunite for NBA". Rolling Stone. Archived from the original on March 18, 2008. Retrieved August 4, 2008. ^ MTV News staff (May 13, 2008). "For The Record: Quick News On Kanye West, Destiny's Child, Metallica, Kelly Clarkson, Paris Hilton & More". MTV News. 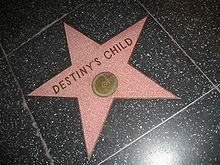 ^ a b "Destiny's Child Gets Star on Walk of Fame". FOX News. Associated Press. March 29, 2006. Retrieved May 13, 2008. ^ "BET Awards Style: 28 Past Winner Portraits". Entertainment Weekly. Retrieved February 26, 2009. ^ a b Bond, Nick (January 15, 2014). "Destiny's Child: Where Are They Now?". News.com.au. Retrieved September 3, 2016. ^ Cohen, Sandy (March 2, 2007). "Hudson, Beyonce, T.I. Among BET Winners". The Washington Post. Retrieved January 26, 2008. ^ Crosley, Hillary (September 27, 2007). "Billboard Bits: Beyonce, Bob Marley, Bragg/Brad". Billboard. Nielsen Business Media, Inc. Retrieved May 13, 2008. ^ "Mathew Knowles and Music World Present, Vol. 1: Love Destiny". AllMusic. Retrieved December 20, 2011. ^ "Mathew Knowles and Music World Present, Vol. 1: Love Destiny". Amazon.com. Amazon Inc. Retrieved December 20, 2011. ^ "Beyoncé Pull into Trailer Park to Shoot 'Party' Video". Rap-Up. August 2, 2011. Retrieved August 3, 2011. ^ Vena, Jocelyn (August 5, 2011). "Beyonce's 'Party' Video: Why We're Dying For An Invite". MTV. Archived from the original on July 13, 2012. Retrieved August 8, 2011. ^ "Destiny's Child's Playlist Compiles Signature Hits and Deep Album Tracks on First Release in Seven Years" (Press release). Destiny's Child's Official Website (Music World Entertainment/Columbia Records/Legacy Recordings). September 19, 2012. Retrieved October 23, 2012. ^ "Love Songs". Destiny's Child. Retrieved January 10, 2013. ^ Walsh, Ayeesha (January 18, 2013). "Destiny's Child new album artwork revealed by Beyonce". The Sun. Retrieved February 3, 2013. ^ "Destiny's Child reunite at Beyoncé Super Bowl half-time show". Digital Spy. Retrieved June 4, 2014. ^ "Destiny's Child Video Anthology To Be Released June 4th". Destiny's Child Official Website. Retrieved June 4, 2014. ^ "Kelly Rowland previews new Destiny's Child song 'You've Changed' – Music News". Digital Spy. May 28, 2013. Retrieved June 1, 2013. ^ Lansky, Sam (December 13, 2013). "Beyonce Reunites With Kelly Rowland & Michelle Williams In 'Superpower' Video: Watch". Idolator. Retrieved June 19, 2016. ^ Wilson, Gaby (December 20, 2013). "Beyonce's 'Grown Woman' Music Video: Look By Look". MTV. Retrieved September 5, 2016. ^ Stutz, Colin (May 21, 2014). "Destiny's Child Reunites for Michelle Williams Solo Track & Music Video: Listen". Billboard. Retrieved August 12, 2014. ^ "Say Yes (Stellar Awards 2015) [Live] [feat. Beyoncé & Kelly Rowland] – Single". iTunes. April 15, 2014. Retrieved May 3, 2015. ^ Mizoguchi, Karen; Pearl, Diana. "Destiny's Child, Adele and More Celebs Freeze for the Mannequin Challenge". people.com. Retrieved November 27, 2017. ^ "Beyoncé to reunite with Destiny's Child at Coachella". Retrieved April 15, 2018. ^ Huey, Steve. "Destiny's Child: Biography". Allmusic. Macrovision Company. Retrieved August 4, 2008. ^ Midgarden, Cory (January 30, 2014). "Did Beyonce Really Throw Shade at Kelly Rowland? We Asked LeToya Luckett". MTV. Retrieved September 10, 2016. ^ Witherspoon, Chris (May 8, 2014). "LaTavia Roberson Defends Kelly Rowland: 'She was always the second lead singer of Destiny's Child'". The Grio. Retrieved September 10, 2016. ^ a b c Eliscu, Jenny (October 25, 2004). "Destiny's Child: Destiny Fulfilled". Rolling Stone. Archived from the original on May 18, 2008. Retrieved September 3, 2008. ^ Atwood, Brett (January 11, 2001). "Destiny's Child Inspired By Janet Jackson". Yahoo!. Archived from the original on June 11, 2007. Retrieved March 26, 2009. ^ Pareles, Jon (August 1, 2005). "Pop Review; Empowerment, Allure And a Runway's Flair". The New York Times. Retrieved February 27, 2009. ^ Basham, David (April 20, 2001). "'Bootylicious' Destiny's Child Sample Stevie Nicks, More on Survivor". MTV. Retrieved February 26, 2009. ^ a b c Browne, David (May 7, 2001). "Survivor (2008): Destiny's Child". Entertainment Weekly. Retrieved February 26, 2009. ^ Erlewine, Stephen Thomas. "Survivor: Destiny's Child". Allmusic. Retrieved February 26, 2009. ^ a b Ogunnaike, Lola (November 14, 2004). "Beyoncé's Second Date With Destiny's Child". The New York Times. Retrieved February 27, 2009. ^ a b Edwards, Tanya (September 23, 2002). "Will 'NSYNC Or Destiny's Child Ever Record Another Album". MTV News. Retrieved May 13, 2008. ^ Moss, Corey (July 9, 2004). "Destiny's Child Back in the Studio, So 'Shut Up!' Kelly Rowland Says". MTV News. Retrieved May 13, 2008. ^ "Book Excerpt: Destiny's Style". ABC News. Retrieved October 29, 2009. ^ D'Angelo, Lucia (March 17, 2017). "Le Icone Hip Hop e R'n'B degli anni '90". Vogue Italia (in Italian). Retrieved March 20, 2017. ^ Feeney, Nolan (April 24, 2014). "How Beyonce Came to Run the World". Time. Retrieved September 3, 2016. ^ Kennedy, Gerrick D. (June 7, 2016). "From Destiny's Child to music queenmaker: Kelly Rowland has a new handpicked girl group". Los Angeles Times. Retrieved September 6, 2016. ^ Montgomery, James (September 6, 2010). "Destiny's Child Reunion Rumors Quashed by Beyonce's Dad". MTV. Retrieved September 3, 2016. ^ Melton, Nicole Mane; Sangweni, Yolanda (June 1, 2011). "Greatest Girl Groups of All Time". Essence. Retrieved September 3, 2016. ^ Jones, Daisy (June 12, 2015). "How Destiny's Child changed R&B forever". Dazed Digital. Retrieved September 3, 2016. ^ Marrow, Nicole (November 12, 2014). "In Defense of...Girl Groups". Cut magazine. Retrieved September 3, 2016. ^ McIntyre, Hugh (June 10, 2016). "Where Have All the Girl Groups Gone in Music?". Forbes. Retrieved September 3, 2016. ^ "Destiny's Child The Writing's on the Wall". Pitchfork. June 18, 2017. Retrieved September 19, 2018. ^ Behan, Conor (January 31, 2013). "Why you should care about the Destiny's Child reunion". The Daily Edge. Retrieved September 6, 2016. ^ Lipshutz, Jason (March 5, 2015). "Top 10 Girl Groups of All Time". Billboard. Retrieved September 3, 2016. ^ "Top 40 Biggest Girl Group Songs of All Time on the Billboard Hot 100 Chart". Billboard. March 24, 2016. Retrieved September 3, 2016. ^ Valdes, Mimi (October 2002). "The Metamorphosis". Vibe. Vol. 10. Google Books. p. 118. Retrieved September 4, 2016. ^ Anderson, Kyle (September 29, 2011). "U2, Rihanna, Amy Winehouse, Foo Fighters fill out VH1's '100 Greatest Songs of the '00s': An EW Exclusive!". Entertainment Weekly. Retrieved September 3, 2016. ^ "100 Best Songs of the 00s: 90-81". NME. p. 2. Retrieved September 3, 2016. ^ "Delta a shoe-in". The Age. September 2, 2005. Retrieved September 3, 2016. ^ "10 Most Insane #TBT Moments From Destiny's Child's 2005 WMA Tribute". MTV. April 24, 2014. Retrieved September 3, 2016. ^ "Spotlight on Rihanna". Vogue Italia. March 12, 2010. Retrieved September 3, 2016. ^ Croteau, Lauren (January 16, 2009). "Destiny's Child Influenced Rihanna". Crushable.com. Retrieved September 3, 2016. ^ Davis, Rachaell (July 3, 2016). "Fifth Harmony Pays Homage to Destiny's Child with a Performance of Their Hits". Essence.com. Retrieved February 13, 2017. ^ "Little Mix's Aspirations, Musical Influences & Collaboration Wish List". WBMP (FM). March 27, 2013. Archived from the original on March 28, 2013. Retrieved March 27, 2013. ^ "Artist Influences for Girls Aloud". MTV. Retrieved September 3, 2016. ^ a b c Dekel-Daks, Tal (January 29, 2013). "Ten Things About... Destiny's Child". Digital Spy. Retrieved September 3, 2016. ^ Kaufman, Gil (March 27, 2013). "Haim are crushing on Aaliyah, Destiny's Child". MTV. Retrieved September 3, 2016. ^ Smyth, David (September 23, 2014). "Interview: Mobo shortlisted singer Jess Glynne on being pop's brightest newcomer". London Evening Standard. Retrieved September 3, 2016. ^ Corner, Lewis (April 18, 2011). "Katy B was brought up on Destiny's Child". Digital Spy. Retrieved September 3, 2016. ^ "RichGirl: Money in the Bank". Rap-Up. April 29, 2009. Retrieved September 3, 2016. ^ McMahon, James (July 19, 2013). "Flashback Friday: Ciara". Wonderland magazine. Retrieved September 3, 2016. ^ "Grande Dame". V magazine. February 20, 2014. Retrieved September 3, 2016. ^ Schillaci, Sophie (May 13, 2016). "Exclusive: Meghan Trainor on Being Inspired by Britney Spears and *NSYNC, Her Hilarious Relationship Dealbreakers". Entertainment Tonight. Retrieved September 3, 2016. ^ Roth, Madeline (July 29, 2016). "Fifth Harmony's Full Destiny's Child Medley Is Here, And It's Flawless". MTV. Retrieved September 3, 2016. ^ Walker, John (February 16, 2015). "Are Fifth Harmony Really 'Like Mariah'? We Did the Math". MTV. Retrieved September 4, 2016. ^ "48th Annual Grammy Awards - 2006". Rock On The Net. Retrieved August 12, 2010. "If We Had Your Eyes"
"When I Had the Chance"
"Best Time of Your Life"
This page was last edited on 21 April 2019, at 01:34 (UTC).